For more than 100 years, the Pearl Street has served the City of Boulder in diverse capacities, always with a strong focus on the community and on providing useful space for residents, businesses, and visitors. Since 1977, the Pearl Street Mall has carried on that tradition. The Pearl Street Mall is located on Pearl Street and encompasses four blocks between 11th Street (West) and 15th Street (East). View of the Pearl Street Mall and Flatirons rock formations from the roof of the Boulder County Courthouse. Photo Downtown Boulder. In the late 1800s, Pearl Street was the commercial artery of Boulder with horse-drawn carriages and wagons carrying people through downtown. In the early 1900s, the automobile arrived and Pearl Street became the first paved street in Boulder, flanked by 15-foot sidewalks. The 1960s and 1970s were a transitional period: Boulder's population doubled in size and crime rates grew as the downtown began crumbling. To revive the commercial core, a series of planning groups was founded. In the late 1970s, the Boulder City Council voted to establish a "Downtown Boulder Mall," and the Pearl Street Mall was dedicated in 1977. In the years since, historic buildings have been restored and national and local historical designations have helped maintain the character of downtown Boulder. The four-block stretch is a popular destination for tourists, residents, and students at the nearby University of Colorado Boulder. The mixture of locally owned stores, restaurants, public art, and small gardens makes the Pearl Street Mall a favorite gathering spot. Year-round special events programming helps ensure the Pearl Street Mall is enjoyed by people of all ages. Here, people enjoy the Bands on the Bricks summer concert series. Photo Downtown Boulder. Pearl Street Mall is a gem of Boulder — an extraordinary gathering place with a rich planning history of preservation and pedestrian-focused development. Pearl Street Mall is a shining example of the vibrant social and economic changes that can happen when there is a focused transition from multimodal space to pedestrian-only space. For much of Boulder's history, more intensive commercial development occurred in and around Pearl Street. 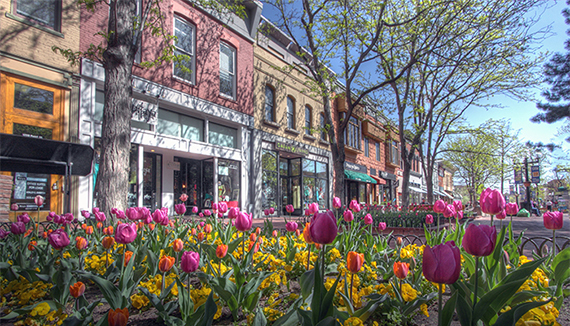 As suburban-style shopping centers threatened Pearl Street's ability to compete, citizens and leaders recognized the need to maintain the space and preserve its character. With assistance from the federal Community Housing and Redevelopment Act, the city effectively closed the area to traffic, and four blocks of Pearl Street became the Pearl Street Mall. Since the mall's establishment, Boulder has used planning as a mechanism to ensure the continued success of this public space. For example, standards found in the Downtown Urban Design Guidelines work to maintain architectural and design standards. 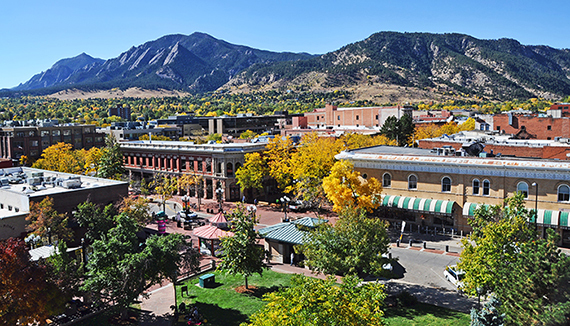 The City of Boulder also works with local organizations such as the Downtown Boulder Business Improvement District to offer incentives for businesses on the mall and help foster growth. 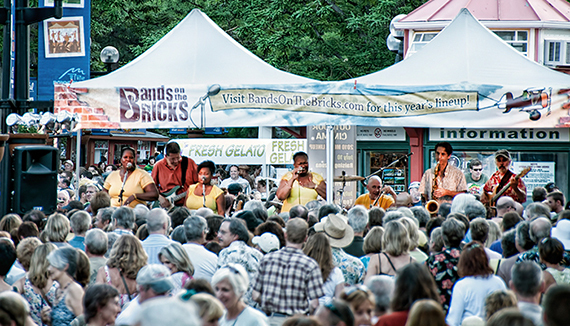 Bands on the Bricks is the Pearl Street Mall's annual Summer Concert Series, featuring musical performances throughout the summer. The Boulder Asian Festival celebrates the vibrant Asian culture present in the Denver and Boulder area. Arts, crafts, food, and musical performances showcase local Asian and Pacific Islander communities. The Pearl Street Stampede takes place every Friday night before the University of Colorado's home football games. For 10 years, hundreds of fans have lined the Pearl Street Mall to enjoy the marching band and cheer on members of their favorite football team, the Colorado Buffaloes. Each year, the City of Boulder parks and recreation department plants more than 9,000 tulip bulbs from Holland along the mall. Photo Greg Thow for Downtown Boulder. The Civic Area Masterplan calls for a new public space near Pearl Street Mall that complements the unique feel and design of the mall.